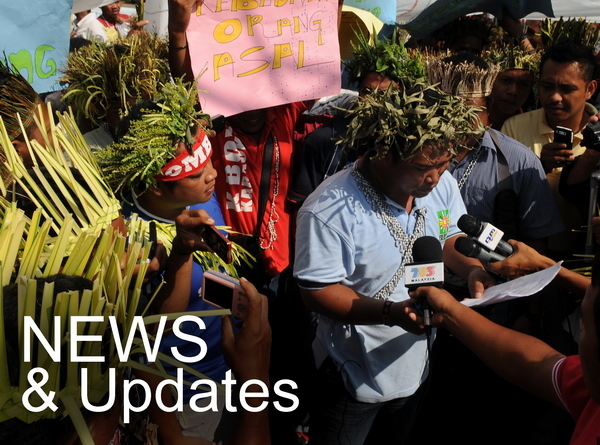 The struggle of the Orang Asli in seeking education is something personal for the two initiators and coordinators of PDK Cenwaey Penaney in Kampung Ulu Tual, Pahang. Jenita Engi and Ewok Perai both experienced and endured hardship to finish and extend their education. Poverty and denial of a government scholarship prevented Jenita from continuing her studies after Form 5. After working for some years, and while still doing part time work at COAC, she enrolled in the Early Childhood Education programme at Segi College, Subang Jaya, earning her diploma last year. Ewok (on the left) is currently pursuing his MA degree in Arts and Design from UiTM, having done an earlier course at Aswara, the National Academy of Arts and Heritage. Jenita is a native Temuan from Negri Sembilan, while Ewok’s Semai mother comes from Ulu Tual and his father is of Rungus (Sabah) heritage. Their bitter-sweet experience has inspired them to try to change the system and seek solutions to make education more assessible and relevant to Orang Asli children. They realized that being schooled in the knowledge of your own culture is an important guarantee that ensures that the identity and wisdom of a people is not lost. 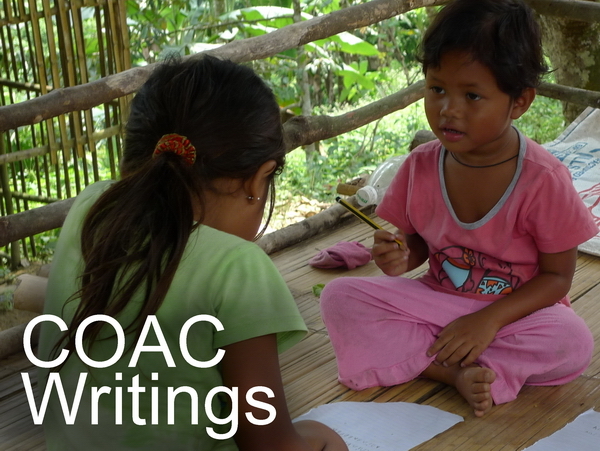 Unfortunately, from a very young age, Orang Asli children today are expected to be schooled within a non-native curriculum, and in a language which is not their mother tongue. All this with a suspicious aim of assimilating them into the mainstream society. That is, making them somebody else. Not surprisingly, therefore, a fair number of Orang Asli children do not fare well in primary and secondary school, let alone make it to tertiary level. Towards this end, a community learning center (or Pusat Didikan Komuniti, PDK) was envisioned which would seek to bridge the gap between mainstream education and the traditional knowledge and heritage of the people. This would involve developing a curriculum which incorporates elements of both modes of education. 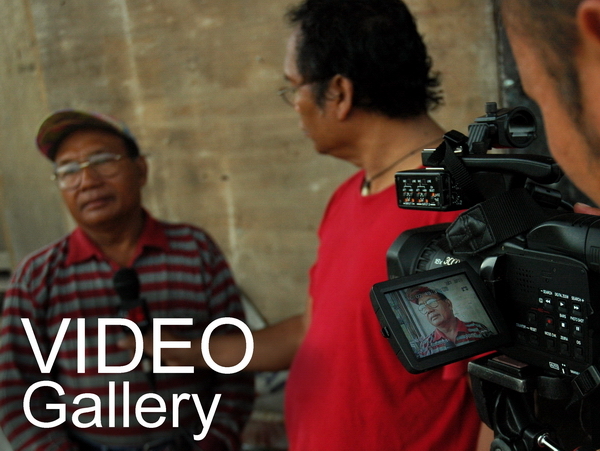 In late 2013, they took this idea to the Semai community of Kampung Ulu Tual in Pos Sinderut, Pahang. After a few meetings and discussions, the project was unanimously supported by the community. Kampung Ulu Tual was chosen as the location of the project because it was representative of many Orang Asli villages where the reach of formal education is low. It is located in the northwest interior hills of Pahang, about 23km from the nearest paved road. The village is without electricity and lacks many of the basic infrastructures. It has a population of about 600 people, 90 of which are children below the age of 7. While there is a government pre-school there (KEMAS), only a limited number of students can enroll at a time. Kampung Ulu Tual was also chosen because of its strategic location as it is centrally located. As such, it would be convenient for children from the other villages to attend classes at this learning center. But more importantly, Kampung Ulu Tual was chosen because of the enthusiastic endorsement of the community and their commitment to make the project work. Even deciding on what to call their project was an extended process. Wanting to use their own language, they finally agreed to the term Cenwaey Penaney, where Cenwaey = shoot or bud, and Penaney = cleverness or knowledge. In Malay it is similar to ‘tunas pintar’. In English, we are still struggling with a more reflective translation other than ‘smart start’. But it was decided that in all communications, the project will be called PDK Cenwaey Penaney or the Cenwaey Penaney Community Learning Center. 1. Develop and apply a curriculum for early childhood education that incorporates mainstream education and the traditional knowledge and heritage of the Orang Asli. 2. 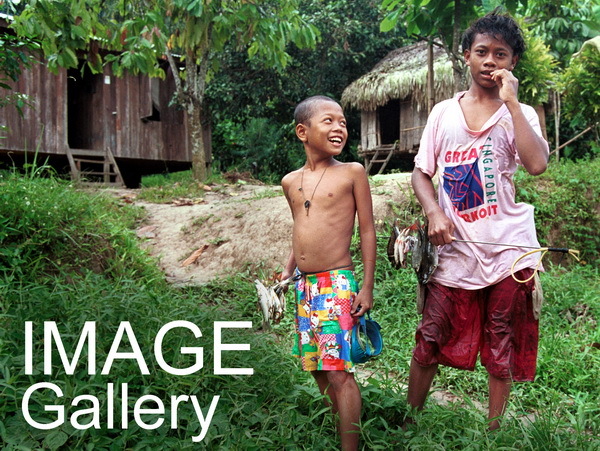 Instill pride and respect for Orang Asli culture amongst Orang Asli children, and thus prevent the loss of culture and identity through assimilation. 3. Reassert the tradition of community responsibility for educating and guiding children to become useful and proud members of their ethnic community. 1. A better transition to mainstream education for the children who attended PDK Cenwaey Penaney, leading to less dropouts and better results in school, with the hope of having more Orang Asli with tertiary education. 2. A prototype curriculum that can be adapted for other Orang Asli villages. 3. To be a testimonial of the importance of Orang Asli traditional knowledge and to show why it is important for it to be included in mainstream education for the Orang Asli. 4. Reinforcing the role of the community in the pedagogy of the children’s education, and so instilling pride in their culture and strengthening the traditional respect for elders. A 3-phase project has been planned for the first year. Phase 1 (January-May 2014) involved the many preliminary meetings and discussions to ensure that everyone was clear on the nature and purpose of the project. The 'special management committee' was established and the two teaching assistants identified. Research and data-collection work for the development of the teaching modules were also commenced, starting with the documenting (via audio, video and writing) of the traditional skills and oral history of the elders. At the same time, plans for the design and construction of the physical learning center were discussed and drawn. It was decided that this community-built structure would not only be a classroom but would also incorporate the community hall/theater, library, kitchen and teacher’s quarters. The cost of construction was estimated to be RM63,000.00. Another RM4,600.00 was used to buy equipment for the research and documentation component of this phase. Phase 2 (May-August 2014) would see the construction and completion of the learning center building. The main building is almost 90 per cent complete, with the toilet and baths scheduled to be constructed in August. This phase will also see the publication and production of the training modules, including the story booklets and the video-shorts. The trainees and some community leaders will go on an exposure visit to Sabah in August to learn from the indigenous pre-schools there. It is estimated that RM45,000.00 would be needed for this phase, which includes the purchase of furniture, electrical and other fittings as well the gravity-feed water delivery system. Phase 3 (September-December 2014) would see the start of initial classes which would test the modules and identify shortcomings. Monitoring and evaluation of all aspects of the project, including the management and decision-making process, would be conducted. Based on the assessments and feedback from the Special Managing Committee, the plan for the following year would be finalized. Individuals from the community will be identified and groomed to take over as coordinators eventually. It is estimated that this 6-month phase will need about RM 41,000.00. Apart from allowances for the two coordinators, the two trainee teachers and the cook, there are food rations to be bought for the daily meals for the students, as well as other management and coordination expenses. This means that for this year, we still need to source out around RM70,000.00. We are hopeful that this can be achieved. Then we will start cracking our heads for next year’s budget …. The community has established its own ‘special management committee’. A bank account has been opened in the name of the learning centre and operated by 3 community reps. The treasurer and trainee teachers have been given basic training in book-keeping and accounts reporting. Icidentally, Jenita and Ewok do not sit in the committee formally, and neither do they operate the bank account.